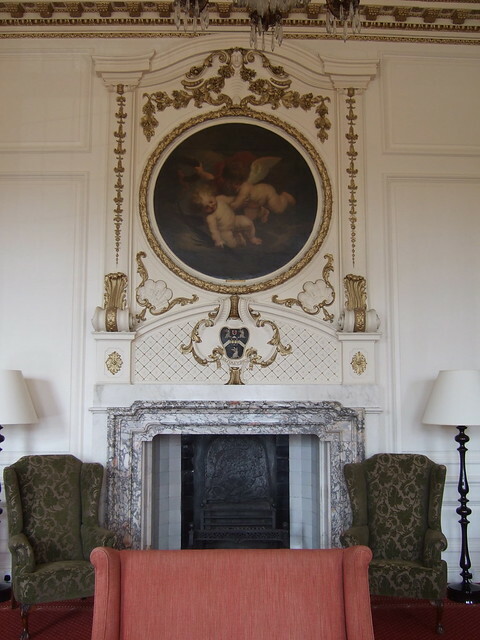 On a sultry June morning, I made my way to Madingley Hall, little expecting how entranced I would be and how many hours I would end up spending there. 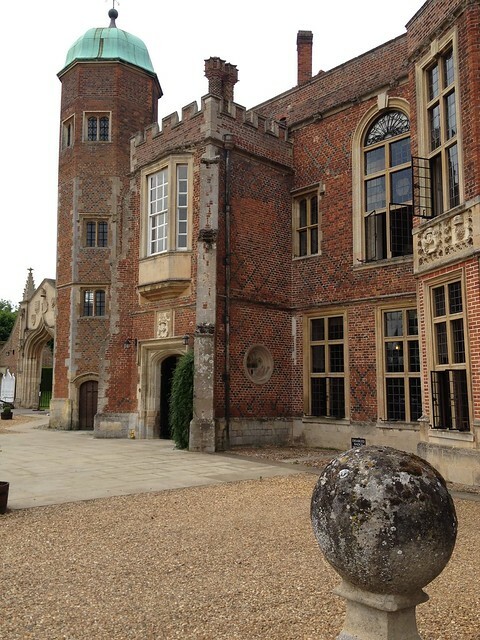 I couldn't believe that I've lived in Cambridge these past 22 years and never set foot in Madingley House and Gardens... It is an extraordinary place. 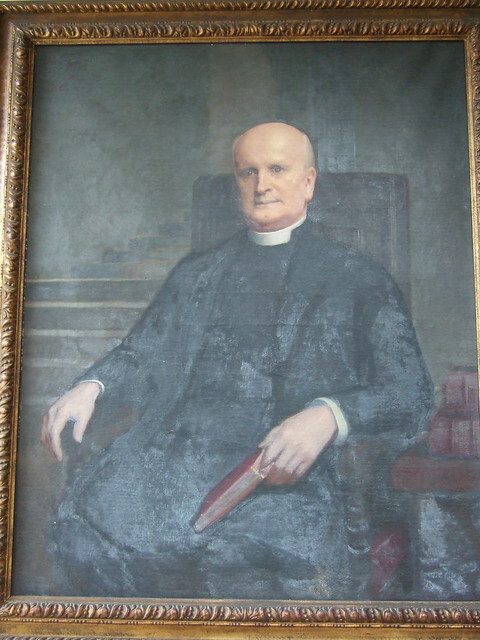 Indoors, in the hallway, I encountered this portrait of the man who built and owned Madingley House: Sir Francis Hynde. 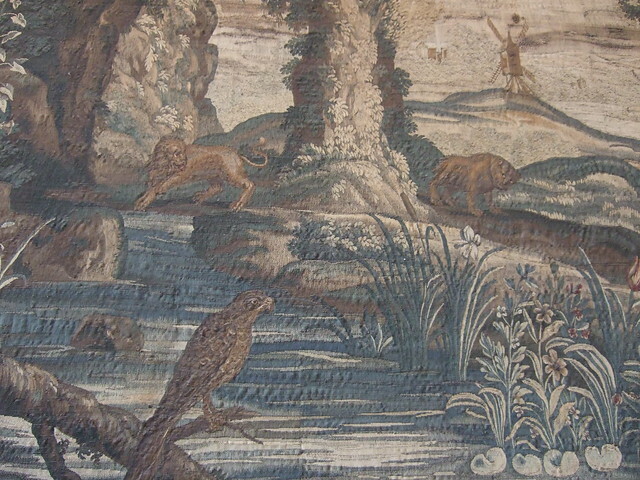 It was painted in 1591 by the little-known Flemish painter Hieronymus Custodis. 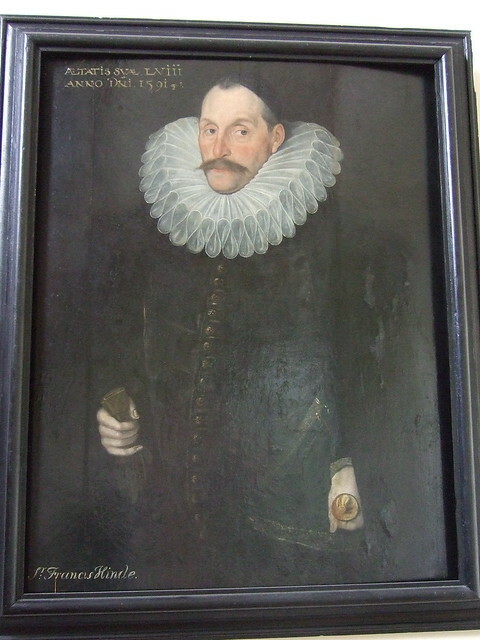 Look at the stern expression, the amazing hipster moustache, and the gorgeous ruff collar. You have to have a stiff spine to cope with such neck-enveloping fashion. 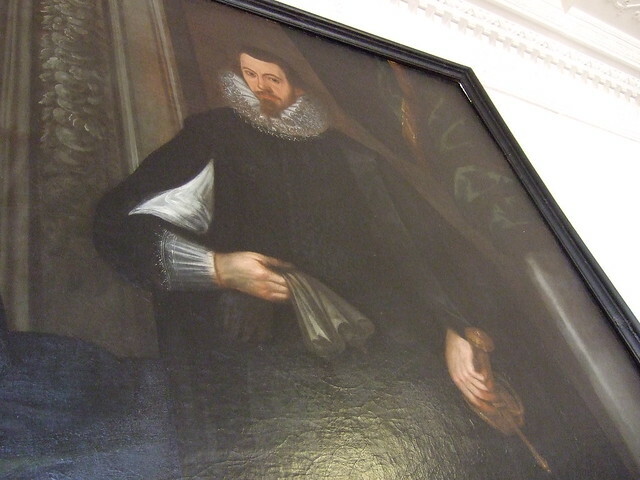 Sir Francis holds a money pouch. Note: he was rich. Here is his wife, Lady Jane Hynde (née Verney). 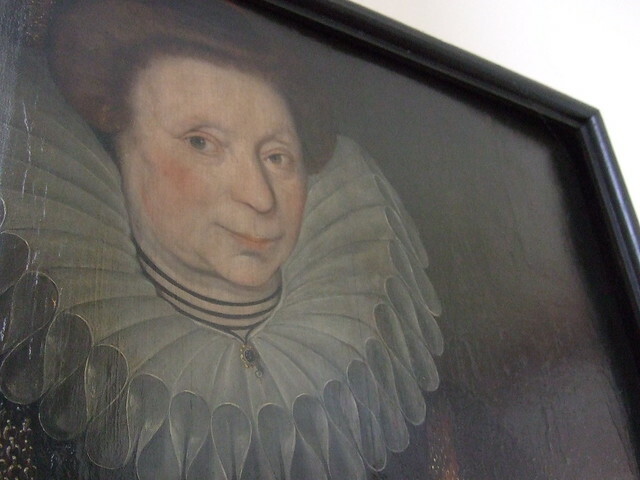 She wears a medallioned necklace over her ruff. In her hand, she holds a bible. 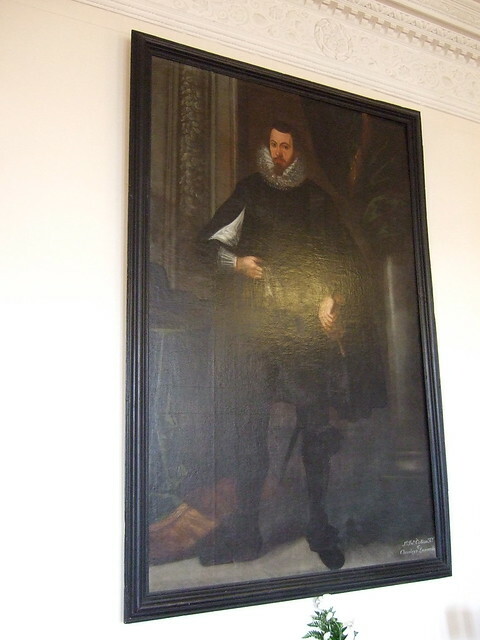 Just across the hall hangs another portrait. 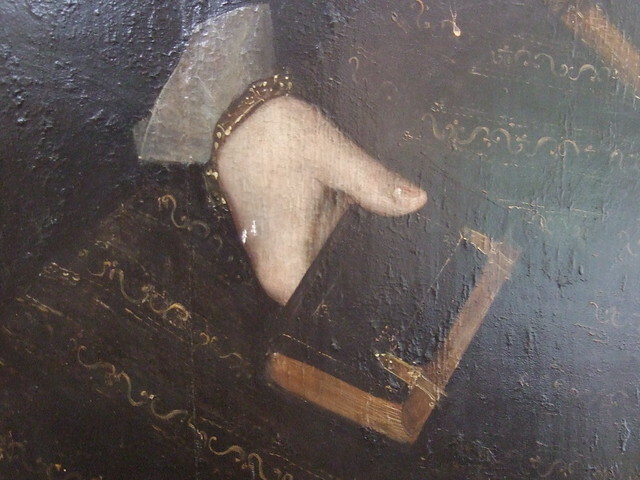 Compare this other hand holding a bible. 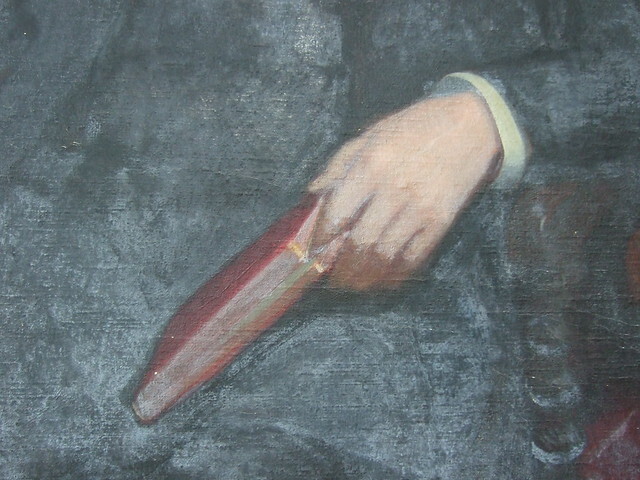 This 20th-century hand is painted with sketchier brushstrokes, applied with a thicker brush than Lady Hynde's hand. 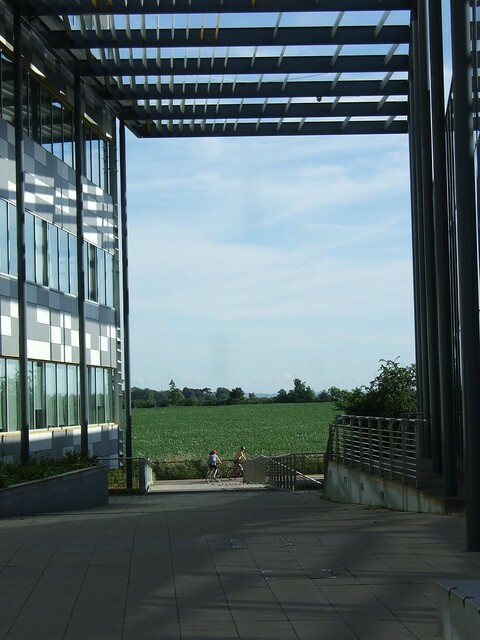 The bible is foreshortened (and is it even a bible? it's rather thin...), the page marked by a finger. 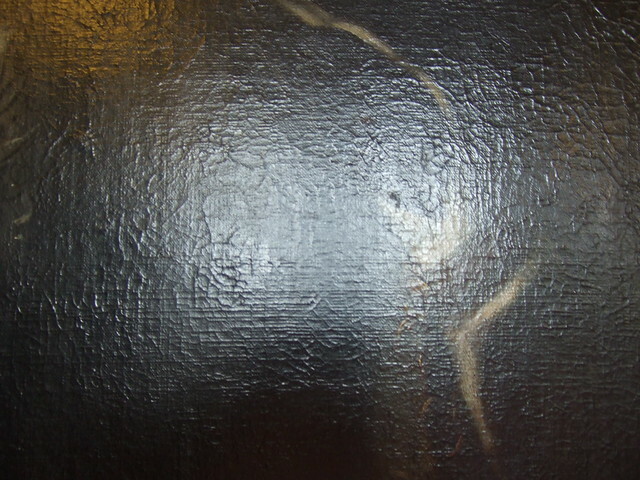 No gold clasps decorate its cover (as with Lady Hynde's volume). 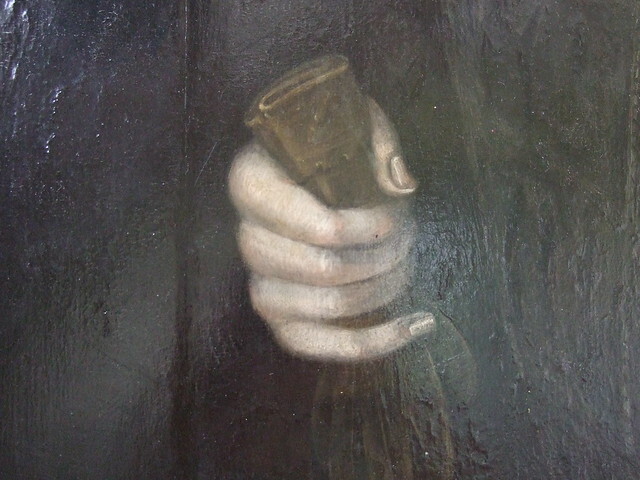 This hand belongs to the Reverend Dr Somerset Cranage, the first secretary to the Board of Extra-Mural Studies (University of Cambridge) in 1924. 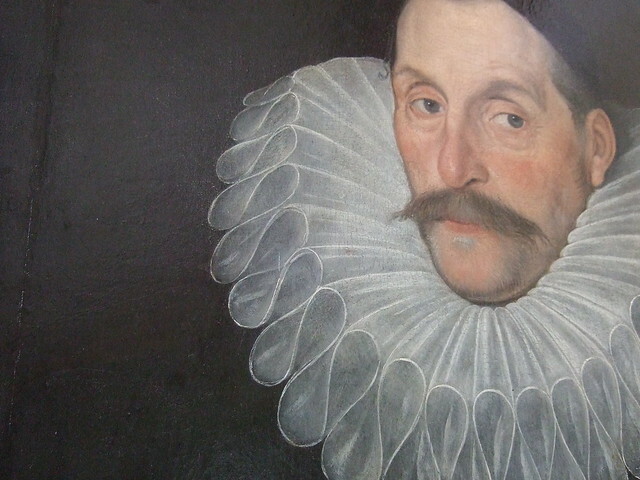 His stiff white collar is a pale echo of the ruff. 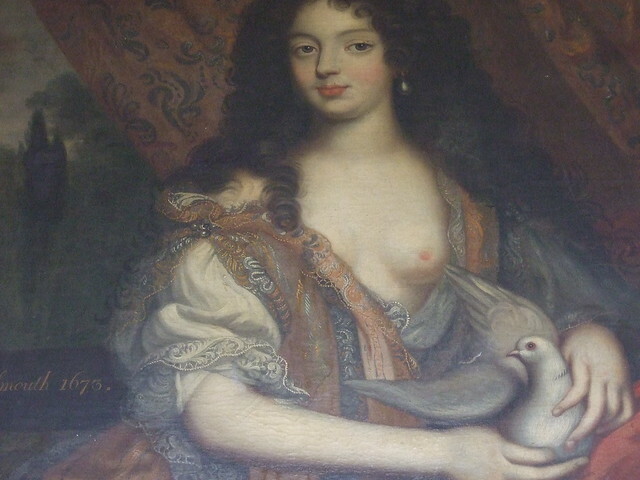 no ruff but a low neckline, a naughtily bared breast, flowing locks, and a dove instead of a bible. 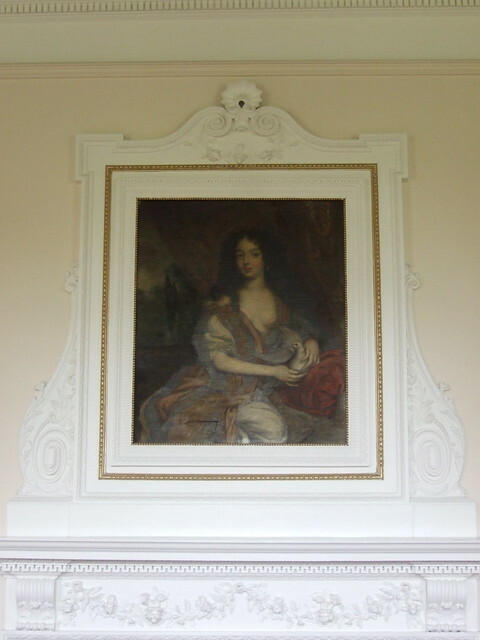 The Duchess was the mistress of King Charles II so no wonder she could take liberties. Was she maybe also the mistress of the painter? 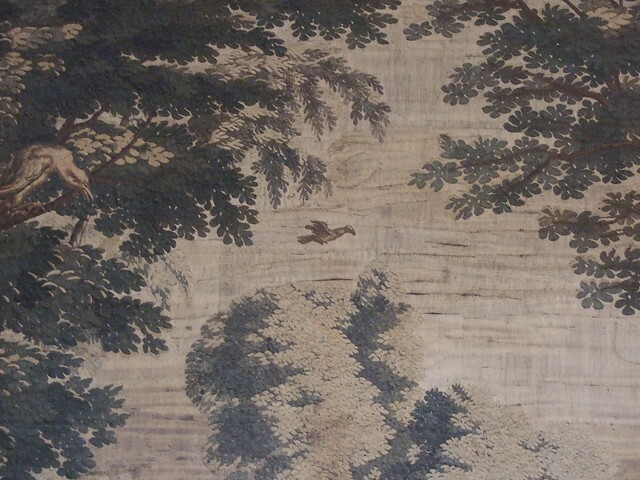 Instead of the sombre black background, hallmark of 16th-century portraiture, we see embroidered drapery, seemingly suspended from nowhere, and a lush garden in the distance. 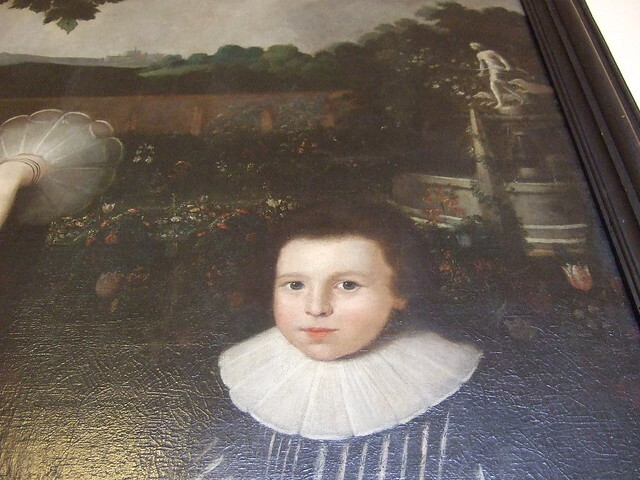 Both the drapes and the landscape were common in 17th- and 18th-century portraiture (and continue into Victorian times, as shown by this portrait in the Fitzwilliam). 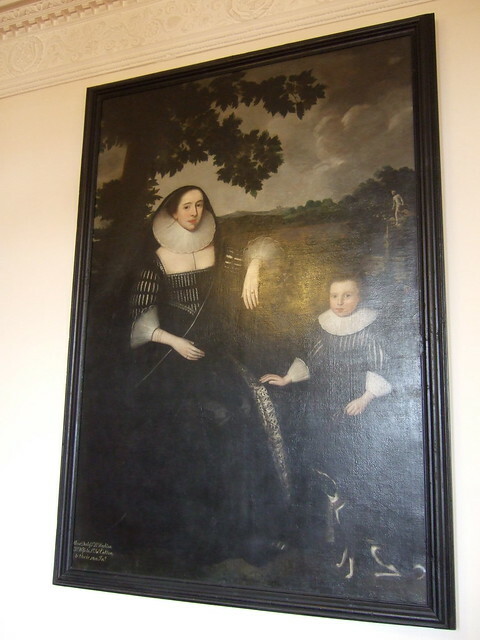 In the Dining Room, we find some more aristocracy: Lady Anne Cotton (née Houghton) and her son, painted (I would think) sometime in the early 17th century. She's from a branch of the Hynde family. The figures are rather stiff but I do like the botanical detail of the garden and the statue of Artemis / Diana, ancient Greek / Roman goddess hunting, with her two dogs. 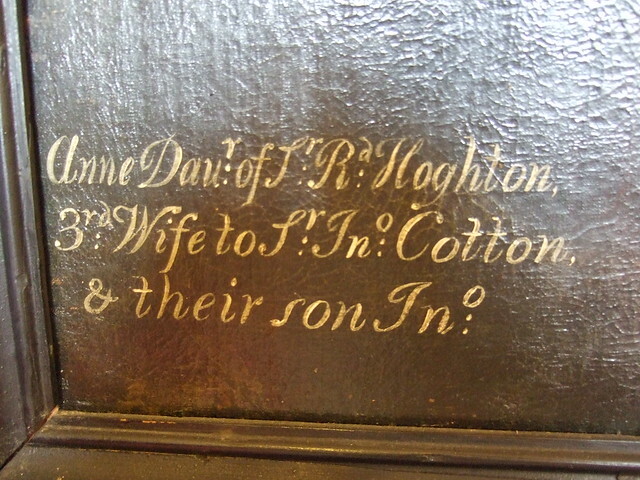 And here is Lady Cotton's husband. 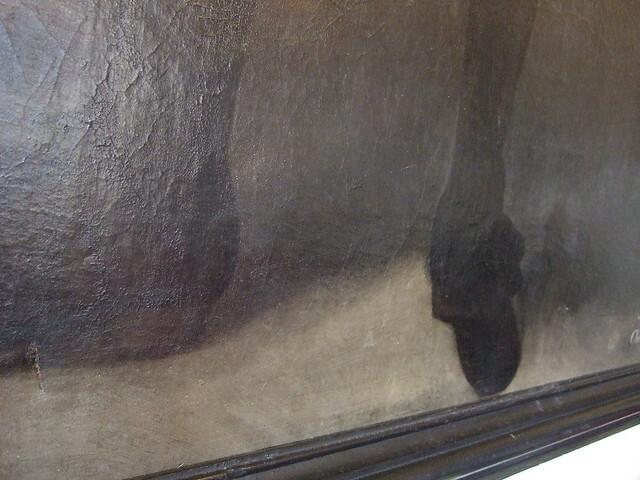 His full-length standing portrait contains the drapery and also the infinite column, beloved of portraitists from the 17th to the 19th centuries (check out the column in the Victorian Fitzwilliam portrait, mentioned above). 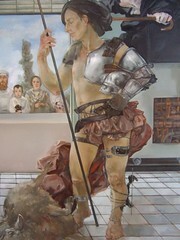 The endless column goes right back to Titian. 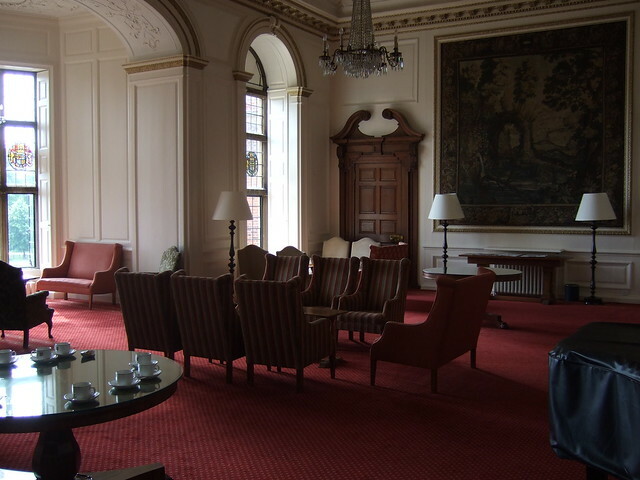 Drapes and endless column were used to confer grandeur onto the sitter. I found it impossible to photograph this portrait properly: either there were reflections from the window opposite, or I got a skewed view. You gotta admire the footwear, though. 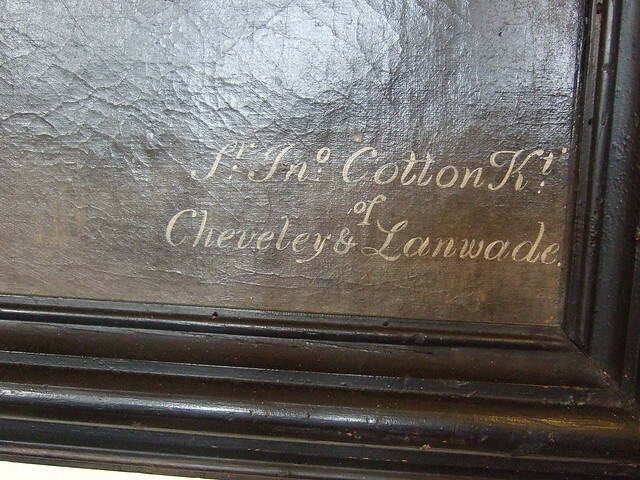 Note the little tear in the canvas. 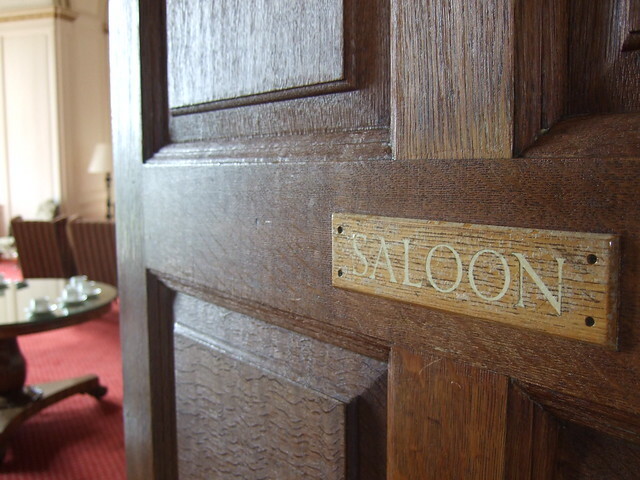 Up the stairs, down a corridor -- and what's behind this door? 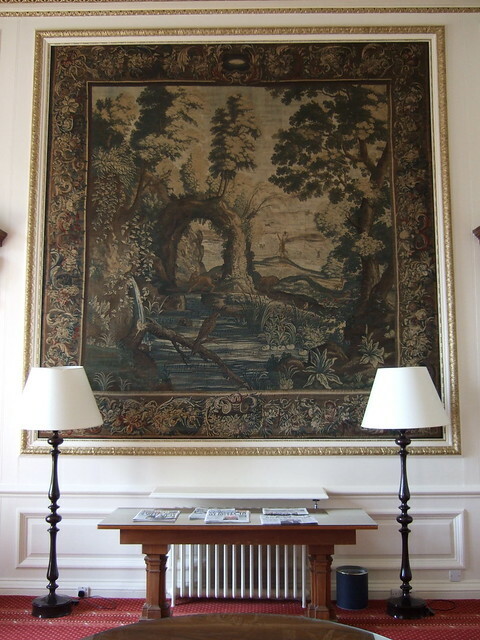 The tapestry was manufactured around 1660 by the Flemish firm of De Vos (based in Brussels). A bird flies across a white sky. 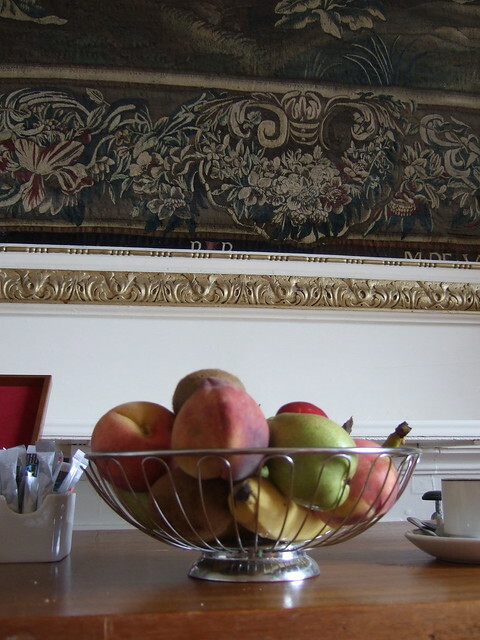 A decorative border, and a bowl of summer fruit. 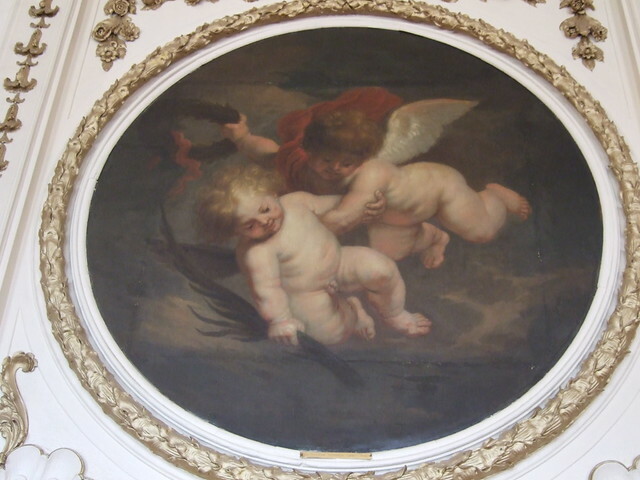 Initially, I thought: what a charming roundel, what cute fat putti. Then I found out that the scene showed a detail from Rubens' painting of the martyrdom of St Livinus of Ghent. This Irish-born saint went to Flanders where he was killed by some heathens who cut off his tongue and his head. Note the man with the amazing red hat who holds tongs with the saint's severed tongue, about to feed it to a dog. 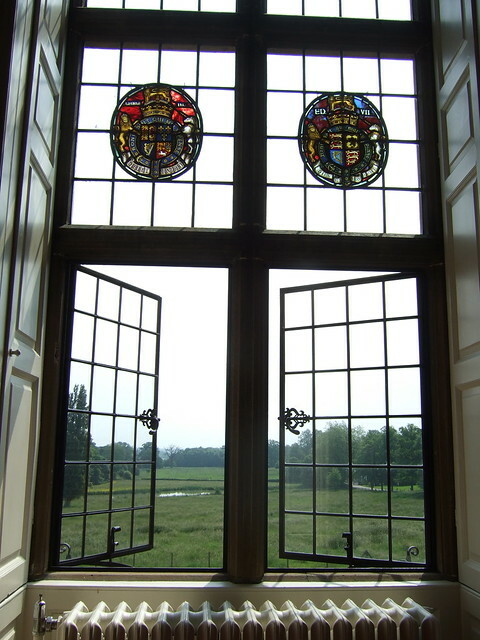 But let's end on a peaceful note: this is the view out of a stone-mullioned window in the Saloon. 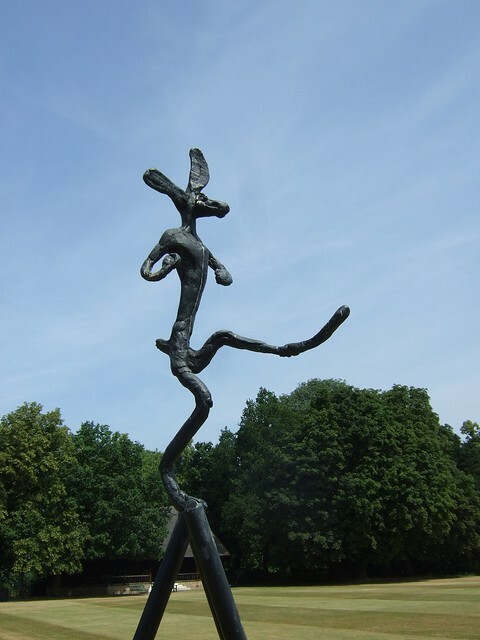 Outside, we see the lovely landscape art of Lancelot 'Capability' Brown, the famous garden architect who designed Madingley Gardens in the mid-18th century. And that's where I went next: the Gardens. 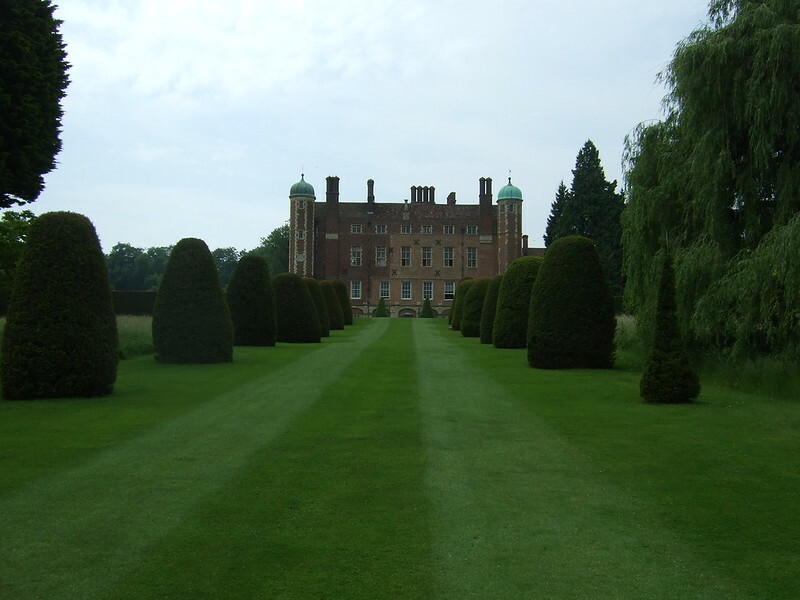 Blog post on the Madingley Gardens to follow soon!